Restaurant owners never have a second to sit down in front of their computer. 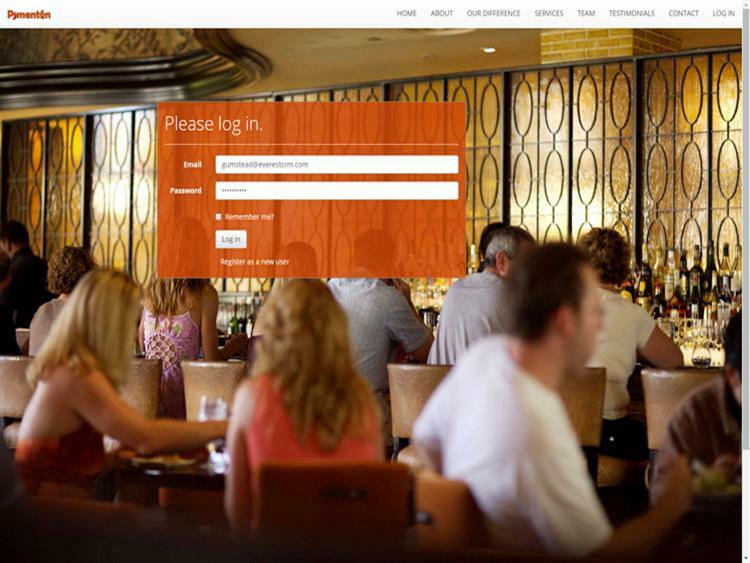 Restaurant owners should have the ability to view different statistics about their company with a click of a button. 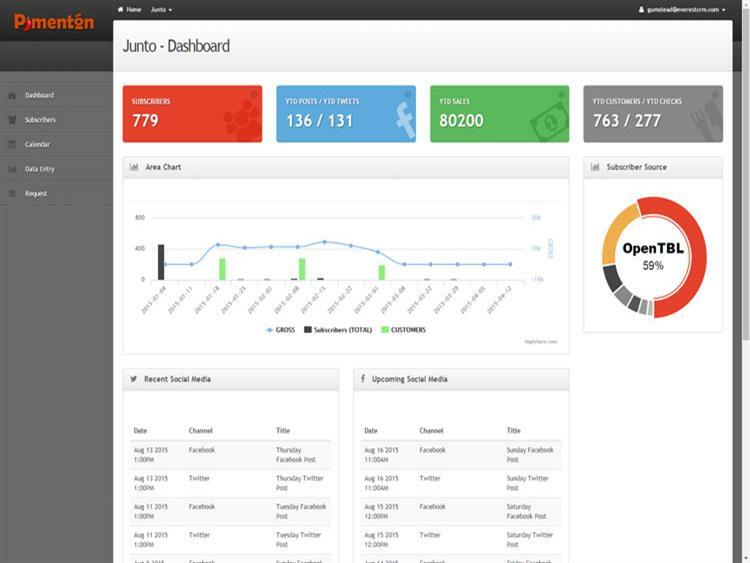 Our goal was to create a mobile responsive dashboard where they could view the dashboard on their smart device. Created a mobile responsive dashboard design. Automate source codes for customer opt-in process. 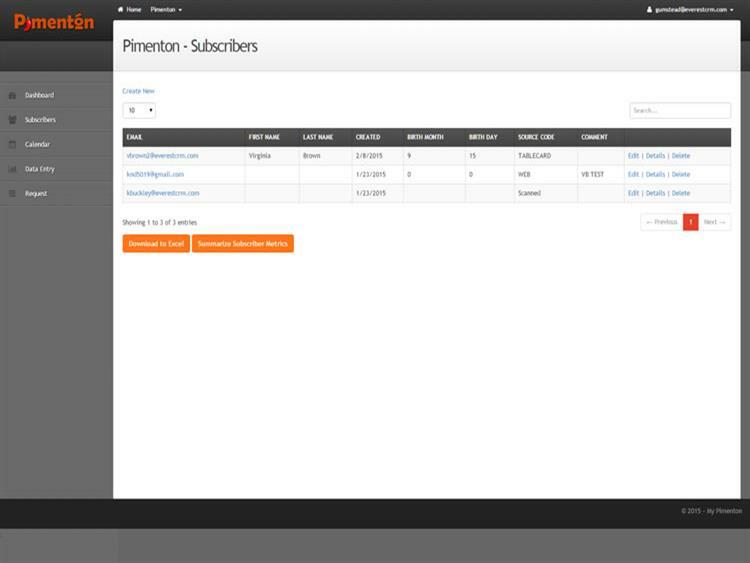 Dashboard is live and up to date at any given time. Our service is outsourced freeing the customer of any hardware expenses. View the dashboard on the run from any smart device. Dashboard provides live statistics automatically. Ability to capture the specific source for each opt-in making the customer aware of where his/her customers were coming from. Ability to view all social media posts and content. Ability to view total customers, checks, and gross week to week. Ability to request a change right on the dashboard. Hosted on the Microsoft Azure cloud environment.